Commercial real estate covers varied sectors such as apartment buildings, offices, industrial spaces, and retail outlets. Certain areas perform better than others in an economic downturn. Which commercial sector will be the most stable during a recession? Health-care real estate will do better than other commercial sectors because the field involves a necessity. Health-care will attract consumers - regardless of the economy. An individual might wait to make a large purchase or take a trip until the economy improves but people will not put off health care until after a recession. Unfortunately though, the sad reality is that people have delayed a trip to the doctor because they do not have the proper insurance. The Obama overhaul of health care, however, is expanding the availability of health insurance. As a general rule though, consumers have (and will continue to) seek immediate help for serious health issues. A similar necessity drives office real estate more than the hospitality industry in economic turmoil. Business owners might cut back on corporate trips during a recession but, most likely, entrepreneurs will hold on to their offices. Hotel REITs might not perform as well as other categories. Yet health-care REITs can move upward during poor economic times. Jeff Theiler, an analyst at Green Street Advisors, a REIT research firm based in Newport Beach, California, said that health-care REITs made the most acquisitions in the industry last year. Ventas Inc., the largest U.S. owner of senior housing and assisted-living facilities, has agreed to acquire its rival, Nationwide Health Properties Inc., for $5.8 billion – the latest and largest biggest deal in a string of acquisitions by publicly traded health-care, real-estate companies in recent times. After this acquisition closes in the third period, Ventas Inc. will own 1,311 properties in 47 states, the District of Columbia, and two Canadian provinces. Their property breaks down into the following categories – senior housing (643), skilled nursing (379), medical facilities (234), hospitals (47), and other (8). Consumers might wonder where Nationwide Health Properties Inc. made its mistake. After all, if health-care real estate is viable, why didn't this company survive the commercial crisis? Theiler believes that Nationwide did mot market as aggressively as other health-care companies. For example, Ventas has been active in the market. 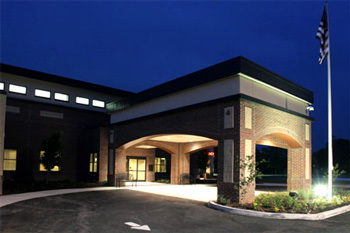 In October, 2010, Ventas acquired the assets of Atria Senior Living. In December, the company made a $6 billion HCP purchase. With more people accessing health insurance, the evolving trend towards outpatient facilities, and an aging population, there will be a growing demand for medical-office space. Of course, Ventas Inc. is not the only entity interested in health-care acquisitions. During 2010, health-care companies acquired $11.7 billion in medical-office and senior-living facilities. Following the February 28 announcement by Ventas, Health Care REIT Inc. agreed to acquire almost all of the real-estate assets of Genesis HealthCare, a privately held company based in Kennett Square, Pa., for $2.4 billion. Health-care REITs are not standing on the sidelines because they recognize the market potential of health-care real estate. Do You Expect A Continued High Demand For Health-Care Real Estate? Doug Overholt of BC (British Columbia) Hydro's Power Smart New Home Program is the latest official to encourage home owners towards energy-efficient products. Overholt points out the benefits of 'green' homes and insists that energy-efficiency is a factor in resale real estate value. The greener the house, the higher the resale value. Of course, saving energy also translates into more comfort, extra savings in the short and long term, and taking care of the environment. The BC Hydro representative makes a point that we discussed here previously at estaterebate.com. Despite the fact that almost everyone understands the benefits of being green, sometimes we get sidetracked with other purchases. Our earlier post referred to them as "eye candy." Several home owners would sooner pay extra for the gorgeous granite countertop than high-performance windows. Are 'Green' Homes Worth The Price? Overholt says that green homes are worth the price. He explains how rising energy costs will cause more homeowners in the future to look for energy-efficient homes. Even though if a homeowner makes simple alterations, they can save on energy bills in the meantime. "Sometimes new home buyers overlook two important aspects of energy efficiency. First, an efficient home is going to cost you less to operate every month. That's money in your pocket - you can pay down your mortgage faster. Second, we live in an era of rising energy costs. Down the road, a house that's an energy pig won't sell as easily, or appreciate as well as one that costs less to operate," says Doug Overholt of BC Hydro's Power Smart New Home Program. Sometimes people get off track because they think that green homes will cost more. No doubt, certain features such as heat pumps can come with considerable initial cost. Yet these smart purchases pay for themselves with savings in the long term. Anyway, everything 'energy-efficient' does not have a high price tag. Usually, extra insulation or air sealing will not break your budget. As well, there are energy-efficiency grants out there to help Canadian and American homeowners. With high energy costs and an economy emerging from a downturn, many people need help and providing energy grants goes in the right direction. Sometimes the programs may not go far enough, however, in the right direction or the path may be too complicated for certain groups. For example, specific programs encourage homeowners to buy energy-efficient products and receive reimbursement from the government. That plan does not always work for families living on low incomes because they cannot pay the upfront cost. That won't be because they are spending it on "eye candy." Their income covers only (or maybe does not even cover) the basics. Yet everyone should check with state (provincial in Canada) and federal officials to see if there is an energy-efficiency program to suit your needs. Thinking green can save you money today and in the future. estaterebate.com has also provided information in another post about Prince William's new 'green' home at Harwood Park Estate. A few interesting green details here! Let us not forget, however, that every family, regardless of income, should be able to live in a comfortable and energy-efficient home. 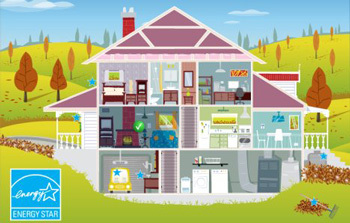 Are You Planning Energy-Efficient Improvements? Real Estate Values – What Do You Value? Everyone knows that neighborhoods affect real estate values. When it comes to property values, location, location, location, seems to be a true statement. ZIP codes matter in the real estate game. Living close to a beach or residing in the trendy part of town can be considered a plus. Having a home in a flood zone or near major traffic will not be viewed in such a favorable light. The market value of your home will reflect the location. Your neighborhood can affect property values in a positive or negative manner. Generally, people can agree on whether specific factors are good or bad for real estate values. Usually, the decision does not require much thought. A high crime neighborhood harms real estate values. Being voted 'the city's best neighborhood' would be an asset. Sometimes though it can be difficult to decide whether a factor is a benefit or a detriment to a neighborhood. Even the official spin on the story can be confusing for homeowners. For example, wind turbines are an addition to a neighborhood that can cause intense debate. Of course, most homeowners will never be faced with decisions about wind turbines in their neighborhood. Yet for those homeowners who encounter this circumstance, the situation can be confusing on many levels. Of course, environmentally-conscious homeowners can recognize the green benefits. Questions surface, however, even for the 'greenest' homeowner. Do I want the wind turbines in my neighborhood? How will they affect the look of the area? How will they affect my property values? On the other hand, isn't a green project a positive development for a neighborhood? Looking for answers can be as turbulent as the wind itself. Green groups will welcome the development. Other parties will worry about the possibility of the turbines causing harm to birds. Health associations could be concerned about possible health risks associated with living too close to wind turbines. The municipality in question might be pleased with the extra revenues. The company in charge of the turbines will claim that there is no negative effect on real estate values. Will wind turbines be an advantage or disadvantage to a neighborhood? Sometimes it is not so easy to figure out how a factor is going to influence a neighborhood. Most likely, a homeowner's individual position will be determined by one's own values and the information at their disposal. People will be forced to debate issues such as green vs. aesthetics, revenues vs. animal protection, and much more. In the meantime, how would wind turbines affect real estate values? The answers to that question are a mixed lot. Yet the National Association of Realtors has recognized that the issue is of utmost importance to many homeowners. The association has organized a wealth of resources on the topic. There were enough wind turbines in operation in the U.S. at the end of 2009 to generate electricity to power 10 million homes. Will Wind Turbines Affect Property Values? Do You Think Wind Turbines Would Affect Real Estate Values? Most likely, the majority of real estate predictions fall somewhere in the middle - based on more than a crystal ball and less than empirical research. Maybe there might be one or two people who put predictions out there without any thought. Yet most real estate predictions are the result of studying trends and statistics. Apparently, a few of these predictions can have a high accuracy rate. For example, the Globe and Mail has tallied the score for predictions made by Neil Downey, RBC Dominion Securities analyst. Downey offered five predictions for 2011. Before the end of January, three predictions have become reality. The Globe and Mail's story is titled – "The real-estate crystal ball." Probably, careful observations are responsible for these impressive results. No crystal ball here; maybe though a little luck, too! Which Correct Predictions Did The Analyst Make About Canadian Real Estate? Richard Baker, the New York investor who bought Hudson's Bay Company, is ready to close a $2-billion deal bringing Target Corp. into Canada. RioCan Real Estate Investment Trust is looking for funding of its acquisition plan as well as refinancing for outstanding debt. Recently, REIT hit the market with rate reset preferred shares and senior unsecured debt. Canada's commercial mortgage-backed securities market is making a rebound. Two major real estate companies are tapping the market for $206 million – the first deal of this type since 2007. As well, Downey predicted more TSX-listed REITs at the end of 2011 than the beginning and less equity raising activity. The Globe and Mail is waiting to see if these two predictions will come to light. Real estate predictions are a serious business. The real estate industry is at the core of an economy. Home buyers account for a huge percentage of economic activity. Commercial real estate involves three main categories - retail (stores, malls), industrial (factories, warehouses), and commercial (offices, multi-dwelling buildings). Real estate transactions are handled by brokers and agents. Certain agents offer property management services to businesses. When entrepreneurs are doing well, real estate transactions experience an increase. In a poor economy, realtors help businesses to find the best location and affordable facilities. Empirical research (such as Plotkin 2002) has been conducted about the role of real estate in an economy. The "first major empirical nonfinancial ratio business success versus failure prediction model" was applied to the real estate industry in New England. The purpose of this study was to develop and test a nonfinancial model that would predict real estate business success or failure using the Lussier (1995) prediction model. 'Lussier' was selected for the study because it had been published in more journals than any other model. The study suggested that similar methodology be used to conduct studies in other parts of the US as well as in other countries. Real science here – far more than a crystal ball! 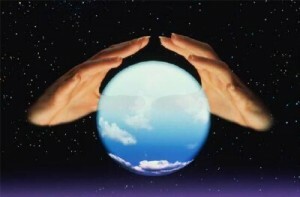 How Have You Arrived At Your Real Estate Predictions? Ok, Google fans, no need to panic, you can still search for everything though your favorite search engine. 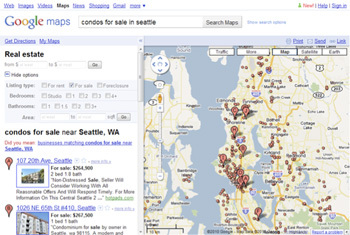 You can no longer search for real estate listings, however, on its Maps portal. Everyone can continue to find real estate websites and related content via Google. Maybe that's even how you found this blog! Actually, interested parties can still find real estate listings on Google Maps - until February 10, 2011. After that date, everyone has to revert to their previous method of searching for property. Yet Google does not expect potential home buyers to be too upset with the loss of this service. Despite the search engine's tremendous popularity, few people were using the real estate feature. Now the news about low usage might seem odd to many observers. After all, Google holds a dominant market position. Yet in their recent statement, the corporation acknowledged the reason behind the lack of response to real estate listings on Maps. "We recognise that there might be better, more effective ways to help people find local real estate information than the current feature makes possible. We'll continue to explore this area, but in the meantime, Google offers other options to home-seekers." ~ Google Inc.
As well, Google's response noted "the proliferation of excellent property search tools on real estate websites." There is much truth in that statement – at least real estate statistics point in that direction. A 2009 National Association of Realtors survey showed that 90% of modern home buyers use the internet in their property search. Buyers sift through photos and take virtual tours of properties in their preferred location and price range. Consumers make short lists for viewing based on their online observations. Although Google is a force to be reckoned with, this corporation has competition. Yet in this instance, the presence is not Yahoo or another search engine. Google is forced to compete with quality real estate websites. Indeed, it makes sense that real estate websites can challenge Google in this area. Expert realtors and industry leaders know real estate. There is truth in saying - knowledge is power. Of course, Google executives are not shocked by this recent development. They knew the score going into the game. As well, officials in the real estate industry expected this result. Former REA chief executive Simon Baker mentioned the probability of failure in recent days as well as at the time of the original announcement about the venture. "The issue is that it's hard, but not necessarily impossible, but the thing is you need to have a coordinated and thought-out approach. I think they had something partially thought out, but there were elements they didn't understand," says Simon Baker, former REA chief executive. Yet Baker thinks that a revised model could meet the needs of the consumer. To a certain extent, this venture was an experiment for Google – complete with experimental apps and programs. In reality, the elements of search with this feature were not as advanced as on popular property sites. Timing is a big deal in real estate. With Google's real estate feature, confusion cropped up about the status of the listings. Is this a current listing? Up-to-the minute data matters in the real estate industry. It matters to the person conducting the search. Finally, the consumer's needs decided the fate of Google's real estate feature. Of course, do not count Google out of the real estate game. Such a powerful entity does not reach its present position by ignoring facts or not learning from failures. If Google does try again, they will have to convince the real estate industry that listing on their Maps portal will bring in more sales. Many leading realtors did not participate in this initial project. Maybe next time, Google Inc. will find what they were searching for in the real estate listings. Just one question! Recently, Google bought the former Port Authority Building at 111 Eighth Avenue in New York City for $1.9 billion. Did they use their Maps feature to find the listing or did they search at a real estate website? Would You Search For Real Estate Listings On Google Maps? It is probably not just a coincidence that renowned architect, Richard Meier, designed twin towers near New York City's waterfront. The luxurious apartment buildings were built in 2002 – a year after the World Trade Center disaster. The construction period coincided with a time in which New York City was searching for renewed hope. In fact, Meier admitted that he wanted to bring life back to the area. No doubt the two tall Perry Street towers and their location at 173 Perry Street and 176 Perry Street evoked mixed emotions. Yet in reality, the Perry Street Towers cannot be called "twins." The façade on the north tower is not as broad as the west façade on the southern tower. Of course, the high 'tower design' is not a rarity in the Big Apple – especially in the years since the fall of the World Trade Centre. Obviously, the award-winning designer of these two structures was not just using a similar tower design to attract attention. Richard Meier is an acclaimed architect – a winner of the prestigious Pritzker Prize. He has been responsible for well-known designs from the Getty Center in Los Angeles to the White Plaza in Switzerland. 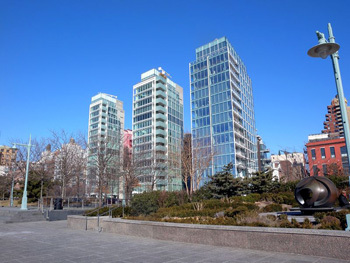 In 2004, Meier designed 165 Charles Street facing the Hudson River - a similar apartment tower to the Perry Street Towers. 173 and 176 Perry Street are able to grab attention on their own. With their sharp lines and grids, the towers stand out from other structures. The buildings have floor-to-ceiling windows with white steel protruding slightly beyond the structure and green-glass balconies. A Perry Street tower does not just fade into the background. The buildings provide dramatic contrast to the city's older low red brick buildings - another well-known design element in NYC. In fact, more than one famous personality has discovered the Perry Street Towers and set up residence in this innovative structure. Martha Stewart, Calvin Klein, and NBC Universal President, Michael Jackson have lived in these cutting edge towers. With 11' ceilings, residents have spectacular views of Manhattan, the New Jersey riverfront, and Hudson River. Located in West Village, 173 Perry Street has 16 floors and just 16 apartments offering an entire floor as a private oasis. Residents can enjoy concierge service and a first-class fitness center as well as all the usual perks of luxury real estate. If you plan on moving into one of these opulent towers, be advised that a 11,000 sq ft, 5-bedroom, 5.2 bathroom apartment is reported to cost $34,000,000. In a previous real estate report, 176 Perry Street was listed as one of New York City's 20 most expensive apartments. 173 Perry Street was named as one of the top three new residential buildings of the decade. Yet it is possible for people to get an inside look at these buildings. The South Tower has a 150-seat Jean-Georges Vongerichten restaurant on ground level that is open to the public. Diners can enter by West Street via a bridge spanning a reflecting pool. Do You Prefer Modern Tower Designs Or Older and Lower NYC Structures? Many U.S. home sellers saw dollars vanish in front of their eyes during the past year. Although the vanishing act was really an illusion as the money never existed – except in an over-zealous home seller's mind. Pricing homes outside the realm of reality holds no magic; it just ends with disappointed sellers. All the dollars disappear because home buyers move on to another dream (and price) within their reach. During the past year, no home sellers (upscale residence or small house) were exempt from price reductions. According to the Washington Post, Former Treasury Secretary Henry Paulson had to reduce the asking price for his Washington, DC home. In 2010, the property sold for almost one-third less than the original asking price. The buyer paid $3.25 billion. During 2006, Paulsen had paid $4.3 million for the property. Between March-December 2010, Chicago home sellers saw a widening divide between their preferred price and the actual amount of the home sale. The Chicago Agent magazine examined monthly data for Cook, DuPage, Kane, Lake, McHenry, and Will counties. The price reductions endured by sellers were calculated at $459 million a month. Despite the size of the area, Cook County sellers led other counties in their average number of reductions (17,335) per month. As well, this county had the biggest cuts (percentage-wise) – almost 6% ($16,000) every time they lowered asking prices. Du Page County ranked second with 3,583 reductions (4.4%). Of course, Chicago home buyers were pleased with the reduced prices. Yet a few home buyers still paid a fine sum for their dream homes. Real estate mantra in 2010: How low can you go? The current state of home sale prices varies from market to market. The average price of a home in England and Wales fell 0.2% to 222,827 pounds ($354,000) from November-December, 2010. Many UK home sellers do not want to be involved in transactions in this market. Many UK home buyers cannot get a mortgage. An Acadametrics report showed the number of transactions dropped by 53,000 (approx) in December 2010 – a 33% decline from the same period in 2009. What Do Consumers Predict For Home Prices In 2011? The Chicago Agent magazine asked its readers for their predictions. At least 54% said that housing prices would remain the same as in the past year. Thirty one per cent of responses expected a decline of home sale prices in the coming months. No doubt, within Chicago and elsewhere, home buyers are hoping for continued price reductions. Of course, home sellers always wish for higher prices. 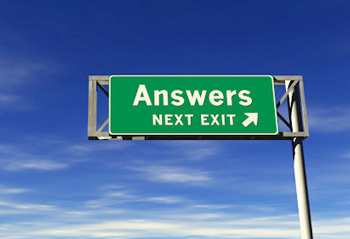 At least 15% of respondents to the magazine survey expected home sellers in 2011 would be getting better prices. 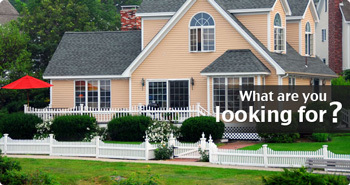 What Are Your Predictions For Home Prices In 2011? When developer Ian Schrager, co-creator of boutique hotels, and his partners asked the renowned architectural firm, Herzog & de Meuron, to design 40 Bond Street in New York City, they were choosing a top team. This prestigious firm had designed the Tate Modern Museum in London, the main stadium for the Olympic Games in Beijing, as well as other world-class projects. Schrager made one more top decision. "I'm taking the penthouse," says Schrager. No doubt, building owners and co-owners can have the first chance to live in the luxurious penthouses. Most owners of luxury real estate position themselves at the top. Take Donald Trump and Trump Tower – another co-developer who took the opportunity to occupy an opulent penthouse. Do you ever wonder what life is like at the top? The penthouse at 40 Bond Street makes a sizable impression and comes with a big price tag – a reported $18.5 million. That chunk of cash will get you 6,626 square feet of interior space and 3,529 square feet of exterior space. Of course, you could choose a smaller 3-bedroom apartment for $9,950,000. You could even choose a 2-bedroom unit for the more affordable price of $4,850,000. The apartments at 40 Bond Street have all kinds of luxurious features - Austrian smoked oak floors, Italian cabinets with smoked oak and high gloss lacquer, as well as Glacier White Corian walls, and shower floor with embossed graffiti pattern. 40 Bond Street was designed to reflect a version of SoHo commercial loft buildings. 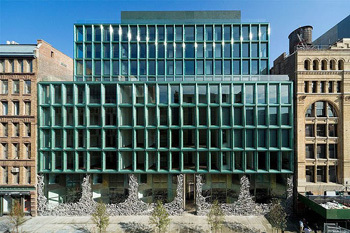 The building uses a green glass grid instead of cast iron. Donald Trump chose an office and a penthouse in Trump Tower at 721 Fifth Avenue. Angelo Donghia designed this elegant penthouse. Even from the outside, Trump Tower is no ordinary building. Its unique look and unusual layout make an innovative statement. Donald Trump continues to express his individuality with his choice of detailing. From the inlaid Trump Tower seal on the ramp of the entrance to 'T' stanchions and vitrines, it is hard to miss the 'Trump' connection. Developers of luxury properties tend to make their mark with extravagant buildings. Trump Tower is full of elaborate details. Its 100-foot high atrium features a seven-storey waterfall in front of Breccia Perniche marble in gorgeous colors – peach and orange - pink and rose. Polished granite walls and brass vitrines add an extra glow. Life at the top might cost a fair penny but many buyers are willing to pay the price for a luxurious lifestyle. Of course, if you own (or co-own) the building, occupying the penthouse makes it a more probable and personal choice. Yet developers are not the only buyers wanting to move into penthouse apartments. Despite the recent downturn in the economy, the U.S. luxury real estate market is rebounding in fast order. Upscale markets tend to make a fast recovery from economic woes. Luxury property is seen as a smart investment in the long term. Luxurious residences and hotels do well in major centers like New York City. Ask Ian Schrager. He just started Schrager Hotels and created two new hotel brands – one luxury model - and one less expensive brand - for those of us who can't afford the penthouse suite. What Would Be The Best Thing About Living In A Luxury Penthouse? The beginning of the New Year revolves around the 'annual' resolutions – at least according to the media. Whether people choose to follow a set plan or just play it by air, you can bet that they will be bombarded by all kinds of advice - on television, in print, and at online sites. The professional (or other) advice will cover every topic from routine to resorts to real estate. You have to separate the great advice from the inaccurate, silly, or even foolhardy suggestions. Real estate is one area where it pays to resolve to learn more during the coming year. Even if you are not buying or selling now, chances are that you will at some point. As well, renters need to know the score. It pays to get a feel for the topic and arm yourself with knowledge. As you delve through the mounds of real estate advice, you can find 'real' golden nuggets of information from reputable sources. Often the best pieces of advice are simple suggestions that make the most sense. Yet often, consumers overlook the simple solution because they perceive real estate as a complicated matter. Truthfully, real estate is a complex issue, but knowing the basics makes it less of a challenge. Ilyce Glink, author of Real Estate Matters, emphasizes preparing to sell your home. Part of her wise advice – get rid of items - unless you need or use them. Interior and exterior cleaning, repairs, and touch-ups are also suggestions as well as the possibility of hiring a stager. This sensible statement was written for London readers but it is relevant on a global level. Sellers have to be certain that their asking prices reflect the present market – not yesterday's value or tomorrow's prediction. The Financial Times focuses on the reality of what will happen if you ignore this piece of advice. Failure to do so will lower your chances of selling a home. Now this bit of advice might seem boring if you've just found the perfect house – or so you think at the time. Potential buyers need to complete a 'checklist' before they decide on that dream home. The state of the foundation and the electrical system as well as water damage – all these matters (and more) have to be explored before you buy a home. Keep in mind that potential buyers can keep an eye out for types of damage and disrepair but they still need the professional help of a home inspector. What Is The Best Real Estate Advice For First-Time Buyers? After Christmas, shoppers follow Boxing Day sales and all the other reduced prices to be found at year's end. Meanwhile, the real industry is reflecting on the more memorable deals of 2010. Of course, new home owners will be remembering their own private real estate transactions. As well, more than one commercial transaction during this year made a powerful impression. The National Association of Realtors (NAR) predicts a more stabilized market in 2011 as well as a decrease in commercial vacancies. When commercial assets reach stabilization, owners are pleased with the outcome. The properties are generating profits rather than eating away at an owner's assets. This thriving Colorado city saw commercial real estate investments double year-over-year in 2010. In fact, Denver made the top ten list of preferred markets for investment during the past twelve months. Since many Denver commercial assets are stabilized, investors are targeting these properties. Within this market, buyers cannot expect to find a good deal in terms of low prices. Yet investors are willing to pay a higher price for a stabilized asset. The purchase still adds up to a wise investment in the long term. During the coming year, Denver's commercial market is expected to see more big deals. The anticipated early 2011 sale of the 1800 Larimer building for $400 per square foot will be a record breaker (the 'per-square-foot record' for the sale of an office building in Denver). In July 2010, Connecticut River Plaza, a well-known office property in downtown Hartford, was sold for $6,666,667 to a limited liability corporation in New York. This sale was one of the most anticipated transactions in the recent history of downtown Hartford’s commercial office market. During the past year, commercial property sales and leasing broke records in Winnipeg, Manitoba. This Canadian city can boast about $544.7 million of property sales between January-October, 2010. Winnipeg's yearly average for commercial sales is $300 million. One of the year's biggest sales transactions was the purchase of GEM Equities/B&M Land Co. property (three high-rise apartment blocks) by Toronto-based Timbercreek Asset Management for a reported $100 million. Throughout 2010, the NYC hotel industry was a vibrant market – the site of tons of transactions and substantial deals. In September, JRK Hotel Group sold the Hotel Roger Williams for $90 million (and $4.5 million in additional costs) to LaSalle Hotel Properties. The luxury hotel market is rebounding and investors have confidence in the Manhattan hotel scene. Montreal has a smaller luxury market than New York City. Yet there is a growing demand for high-end condos. The sale of the penthouse at the Ritz Carlton Montreal Hotel and Residences brought in $13 million plus taxes – the highest price ever for a residential property in Quebec. Of course, most real estate deals in 2010 were outside the luxury market. Interested buyers had abundant opportunities to pick up affordable properties. Even investors wanting to buy into the New York City hospitality industry were able to pick up distressed hotels at bargain prices. As well, home buyers across the country were paying discount prices for foreclosures. 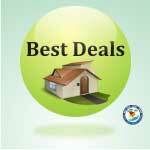 Did You Find A Good Real Estate Deal In The Past Year?